The Rotary Club of Thame is asking the local public to check their sheds and lofts and bring their old tools in the main car park of Thame near the Market House. Every year the Rotary Club of Thame runs a collection point for unwanted tools. These are then taken to 'Tools for Self Reliance' collection centre in Southampton. The latter are a charity which refurbishes them and sends them to NGO's in Africa. The NGO's then distributes them FREE to men and women which helps them to obtain work. All of the tools sent to Africa are used to provide training and equip trainees with their own start up kits to set up their own businesses after completing training not only in their chosen trade, but in business management, financial, and life skills. One such trainee is Susan Anena who is 32 and lives a few miles outside Kitgum Town, Uganda. She started her primary education, but this was disrupted by the civil war and Susan was forced to go into a camp. In 2007 she was abducted on her way to school by rebels and kept captive for six years. She was subjected to abuse, which resulted in her becoming pregnant and having a child. Thankfully she managed to escape, but returned home to find that her father had been shot during the war and was paralysed on one side. Just a couple of years after her return, Susan's mother died from malaria. In 2017, she joined a Tools for Self Reliance project run in partnership with local organisation Green Ribbon Foundation of Uganda. Throughout the training Susan learned how to make outfits such as women’s and men’s clothing, alongside receiving business and life skills training. The counselling sessions she had helped her cope with the trauma she experienced during her abduction. She has now graduated and has learnt a practical skill that will help her become self reliant and support her child and her family. 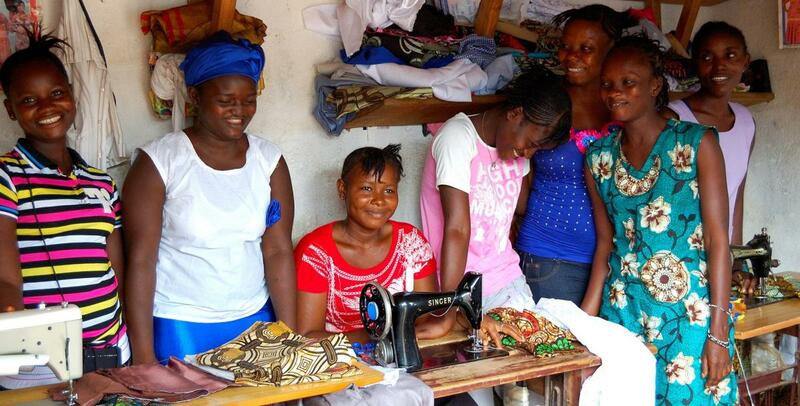 Susan plans to set up her own tailoring business, using the tools she was equipped with when she graduated. Susan said: “I want to be the best tailor in this sub county. After I fully acquire this skill, it will be mine forever. I want to give the community my very best." Items which can be collected include sewing machines, tools used for plumbing, carpentry, metalworking, building, bicycle repair, shoe repair, car repair. No garden tools are accepted. Photo: courtsey of Tools for Self Reliance - the charity.